If you're making your way to Kirishima and you don't really know a whole lot about it, don't fret — we can help you out! Kirishima is 20 miles (32 kilometers) to the northeast of Kagoshima, a significant city. With Travelocity, you'll get a fantastic bargain if you secure an accommodation and flight package. You can also pick from more than 400 partner airlines and 665,000 places to stay. Are you after a worry-free getaway? Our Customer 1st Guarantee provides 24/7 personal assistance on all our services. If you happen to stumble upon an even lower price on another website, we'll refund the difference^. All packages can be changed or canceled with no extra fees from our end. And so long as you get in quick, most accommodations won't charge you a fee either^. 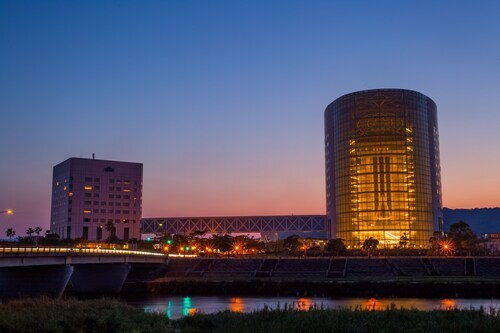 Organized your Kirishima itinerary but haven't secured a place to stay yet? You'd better get a move on. With just 3 lodgings to choose from, we suggest getting in early. 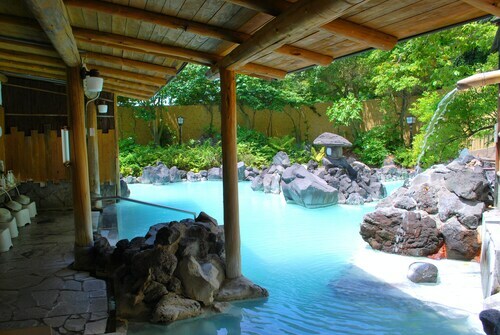 The Hotel Kyocera and APA Hotel Kagoshima Kokubu are some of Travelocity's top properties in the Kirishima region. Where do you fly into for Kirishima? Get set for some incredible new experiences! The center of Kirishima is just 4 miles (6 kilometers) east of Kagoshima Airport (KOJ). Can I rent a car in Kirishima? Whether you're visiting Kirishima all by yourself or with a few buddies, it's always more convenient to have a set of wheels. Travelocity offers a variety of rental options, so choose one now and start creating your road trip playlist right away! Get a car from Europcar at Kagoshima Airport and you can head straight from the tarmac to the highway. 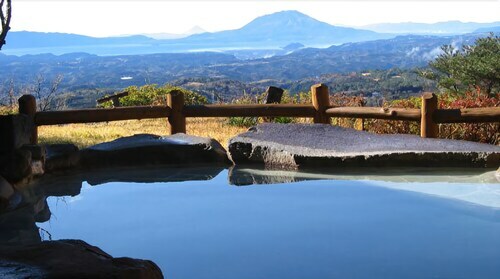 Watch water gurgling and bubbling beneath a shroud of steam at Myoken Hot Springs. This geothermal marvel, a result of heated water rising from the earth's crust, is undisputedly one of the area's hottest sights! Want more options? Sometimes soothing, sometimes dramatic — few spectacles are as awe-inspiring as a waterfall. Secure a good vantage point and watch Inukai Fall surge, splash and plunge over the cliff face. If you have seen the best of Kirishima and have more time up your sleeve, don't fret! Just 20 miles (32 kilometers) away is Isa, and you certainly won't be bored here. Sogi Fall should be high on your list. Tadamoto Park and Sogi Power Station are also well worth your time. After more options? Kagoshima is 20 miles (32 kilometers) from Kirishima. Make your way to this destination for attractions including the Kagoshima Botanical Garden, Kagoshima City Aquarium and the Kagoshima City Museum of Art. You've got a world of choice! Situated in Kirishima, this hotel is within 1 mi (2 km) of Myoken Shinkawa Onsen and Kagoshima Shrine. Myoken Hot Springs and Saigo Park are also within 9 mi (15 km). Hayato station is only a 1-minute walk. Situated in Kirishima, this ryokan is 0.5 mi (0.8 km) from Kirishima Shinwanosato Park and 1.5 mi (2.4 km) from Kirishima Shrine. Kyomachi Onsen and Takachiho Country Club are also within 3 mi (5 km). 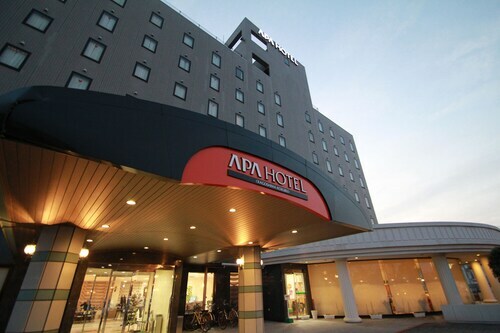 Situated near the airport, this hotel is 0.3 mi (0.5 km) from Myoken Shinkawa Onsen and 2 mi (3.1 km) from Kagoshima Shrine. Uehara Jomon Forest and Myoken Hot Springs are also within 6 mi (10 km). Hayato station is 6 minutes by foot. 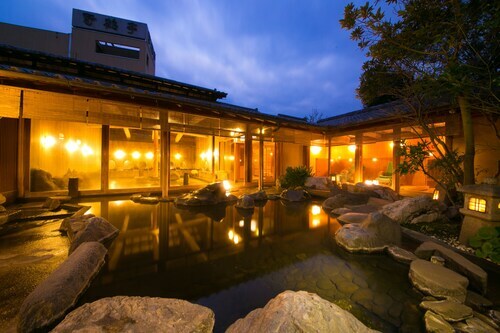 Situated near the airport, this spa ryokan is 1.3 mi (2.1 km) from Myoken Shinkawa Onsen and within 6 mi (10 km) of Myoken Hot Springs and Saigo Park. Takachiho Ranch is 11.1 mi (17.9 km) away. Hayato station is 26 minutes by foot. Situated in a national park, this spa ryokan is 0.4 mi (0.7 km) from Maruo Falls and within 6 mi (10 km) of Mahoroba no Sato and Kirishima Shinwanosato Park. Kirishima Shrine and Kirishima-Kinkowan National Park are also within 9 mi (15 km). 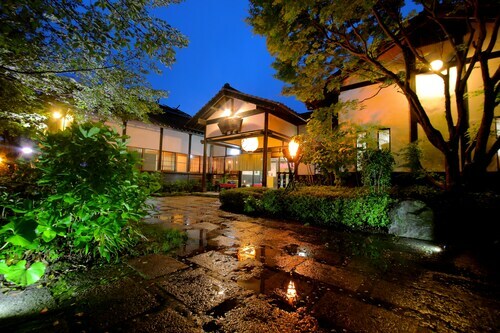 Situated in Kirishima, this ryokan is within 2 mi (3 km) of Kyomachi Onsen, Maruo Falls, and Sekibira Onsen. Mahoroba no Sato is 2.7 mi (4.4 km) away. Situated in Kirishima, this hotel is within a 15-minute walk of Kyomachi Onsen and Maruo Falls. Sekibira Onsen and Mahoroba no Sato are also within 3 mi (5 km). 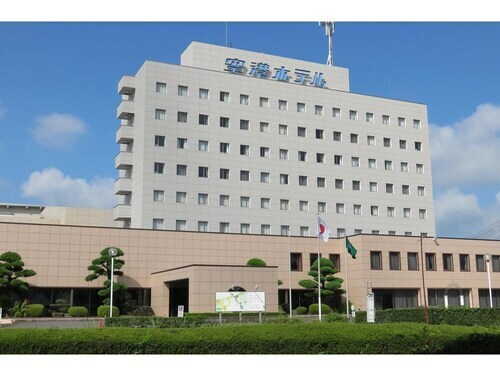 Situated near the airport, this hotel is 0.3 mi (0.5 km) from Saigo Park and 1.6 mi (2.5 km) from Kagoshima Airport Observation Tower. Ryumon Fall and Kagoshima Shrine are also within 6 mi (10 km).